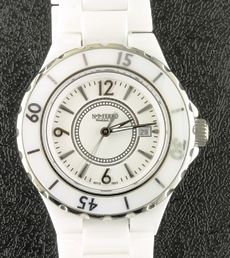 This ladies watch is perfect for every day wear...at the office or about town. 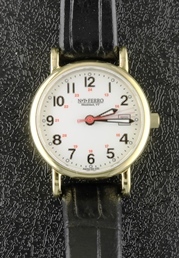 This is a classic style with numbers that are very visible and a black leather strap. This ceramic watch makes a functional fashion statement. It has a sleek and sporty look for any season. This watch is made by Belair Watch Company for N.T. 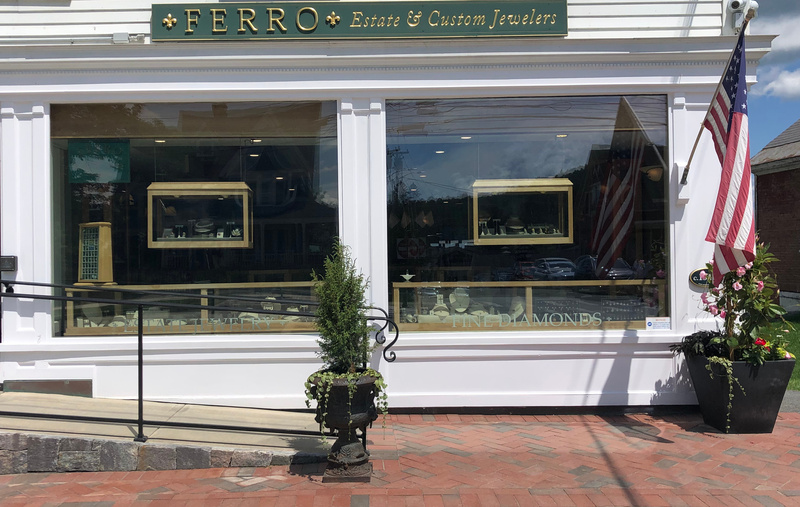 Ferro Jewelers. This is a great watch for the active man in your life. The scratch resistant sapphire crystal holds up well during outdoor or indoor sporting activities and the rubber strap will survive the sweaty work out! This chronograph has all the bells and whistles! Stainless case and bracelet with a sapphire crystal. 10 ATM, water resistant 330 feet. This watch is made by Belair Watch Company for N.T. Ferro. This watch has a rugged outdoor look with a stainless steel case and brown leather band. Made for N.T. 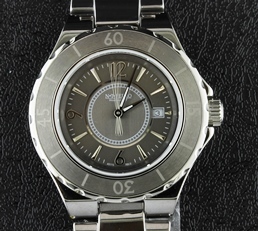 Ferro by Belair Watch Company.This stainless steel watch has a quartz movement and is water resistant to 330 feet. Sapphire crystal and luminous dial. Made for N.T. 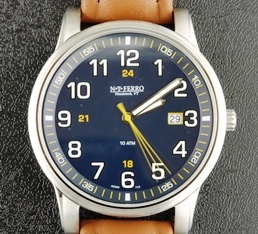 Ferro by Belair Watch Company. This watch is striking and perfect for every day wear. The blue face and bezel make it unique. Made for N.T. 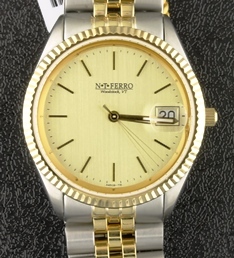 Ferro by Belair Watch Company. This watch has a sleek and functional design. The titanium ceramic case and rotating bezel are just a couple of the great features of this watch. Made for N.T. Ferro by Belair Watch Company. This watch is fun and functional! It boasts a high tech ceramic band and rotating bezel. Made for N.T. 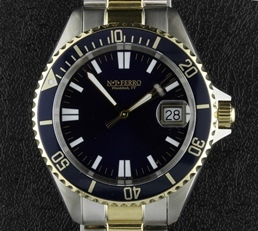 Ferro by Belair Watch Company. 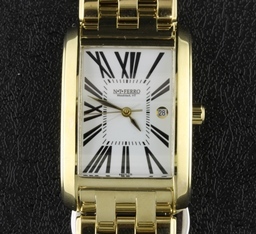 This watch has a timeless design with the rectangular case and Roman numerals. Made for N.T. Ferro by Belair Watch Company. 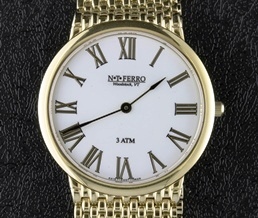 This watch has a classic look with a gold tone mesh band and Roman numerals. Made for N.T. Ferro by Belair Watch Company. 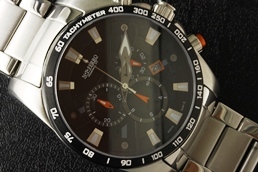 This watch is stylish and sporty with orange accents on the face and dial. The rubber strap is great for athletic activities.